The Cook’s Apprentice is the essential teaching cookbook for the younger cook who’s just starting out. 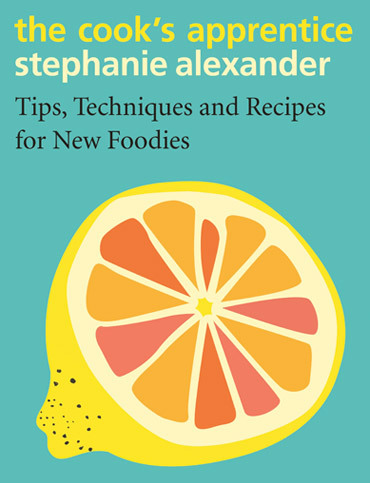 This wonderful book is full to the brim with everything new foodies need to know to become relaxed and confident in the kitchen. Arranged alphabetically, The Cook’s Apprentice includes 56 ingredient chapters – from Apples to Zucchini – and more than 300 achievable recipes ranging from classics every cook will want to try to exciting new dishes that reflect our diverse nation. Stephanie takes you into her kitchen as she explains more than 100 important techniques in straightforward language, discusses the kitchen tools she likes to use, and describes ingredients you might not know: How do I whisk eggs to soft peaks? What does it mean to ‘make a well’ in dry ingredients? Why should I roast spices? How do I prepare fresh chillies safely? What is ‘resting meat’ and why should I do it? How do I prepare a mango? What flavours work well together? What is fresh mozzarella? How do I say ‘quinoa’? The Cook’s Apprentice gives all you new cooks the inspiration you need for a lifetime of enjoyment in the kitchen.